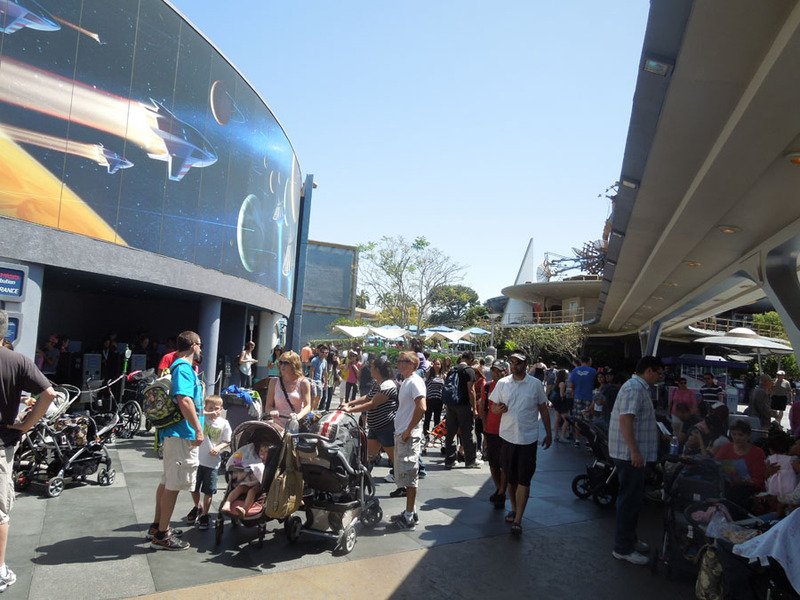 Fast Passes for Star Tours are distributed across the plaza on the north side of the street, east of Buzz Lightyear Astro Blasters. 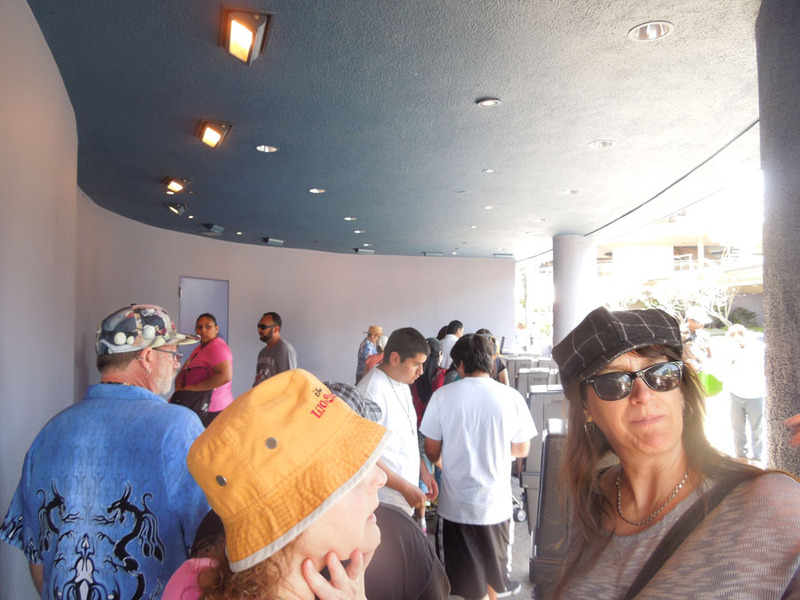 The fastpass distribution is a little shady alcove with five or six ticket machines. 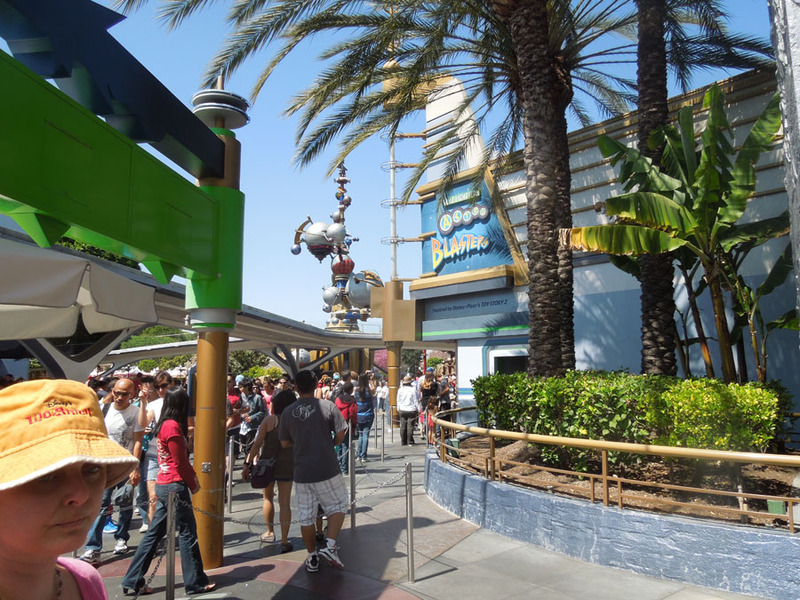 Your Disneyland ticket punches in, a fastpass drops out. 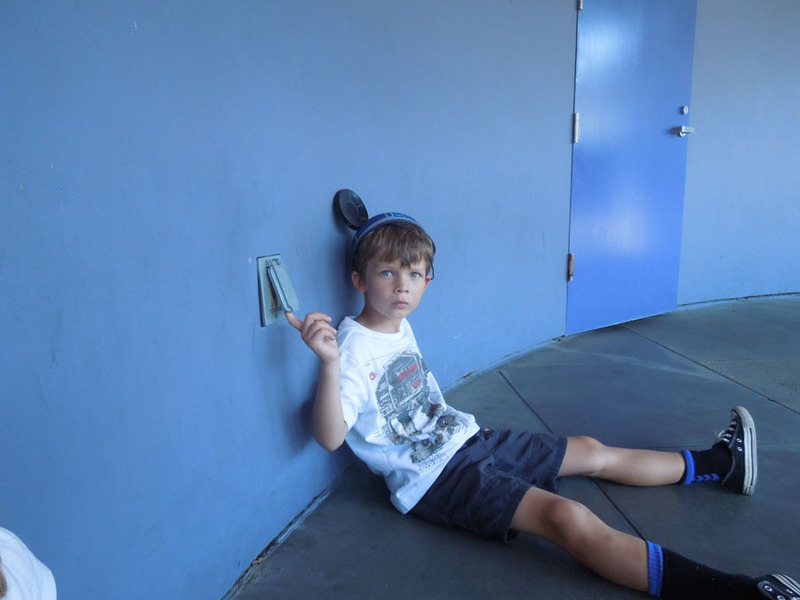 It's more fun if you have a stack of tickets. 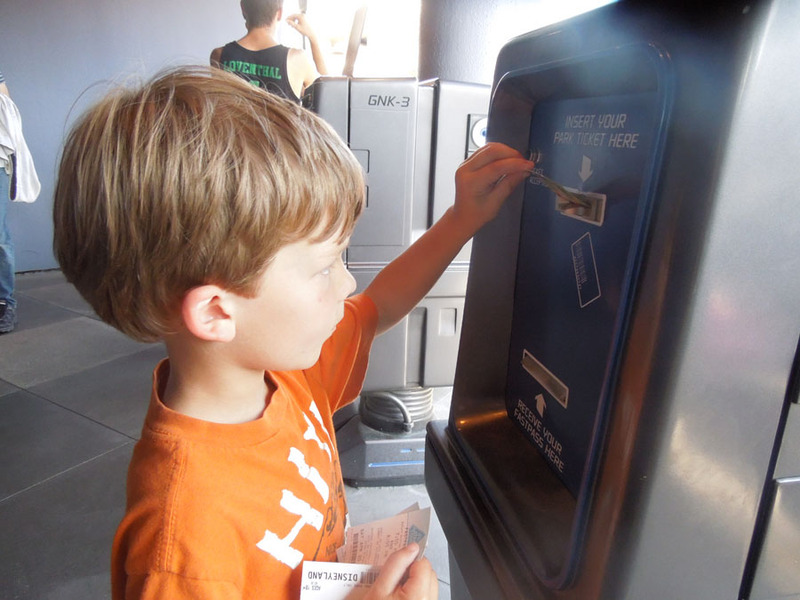 Fastpass dispensers. 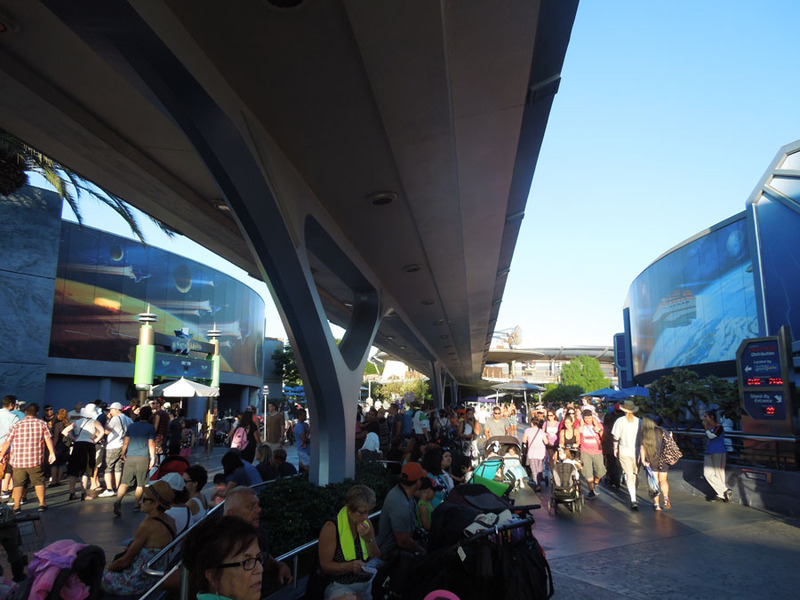 Note how the people using the dispensers are facing out into Tomorrowland. 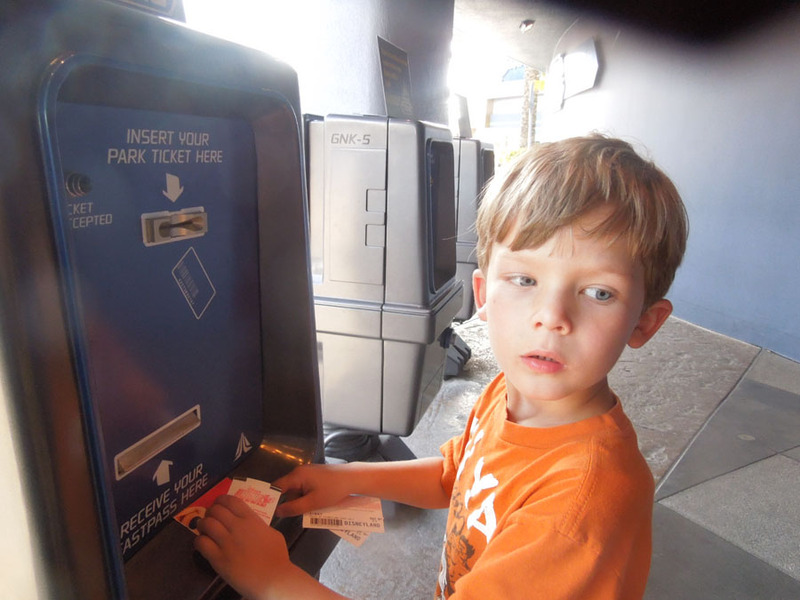 Once they get their tickets, they slide between the machines and exit. 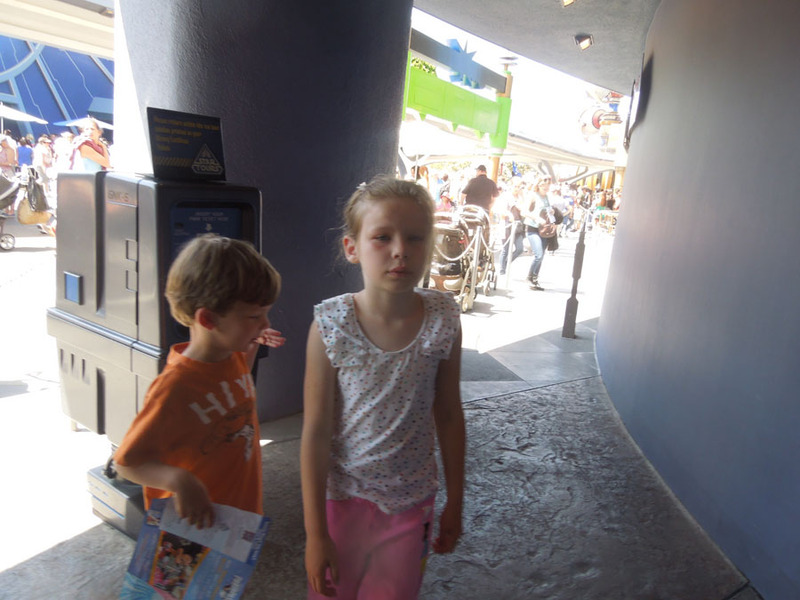 This reduces the need for them to turn around and fight backward through the line to exit. 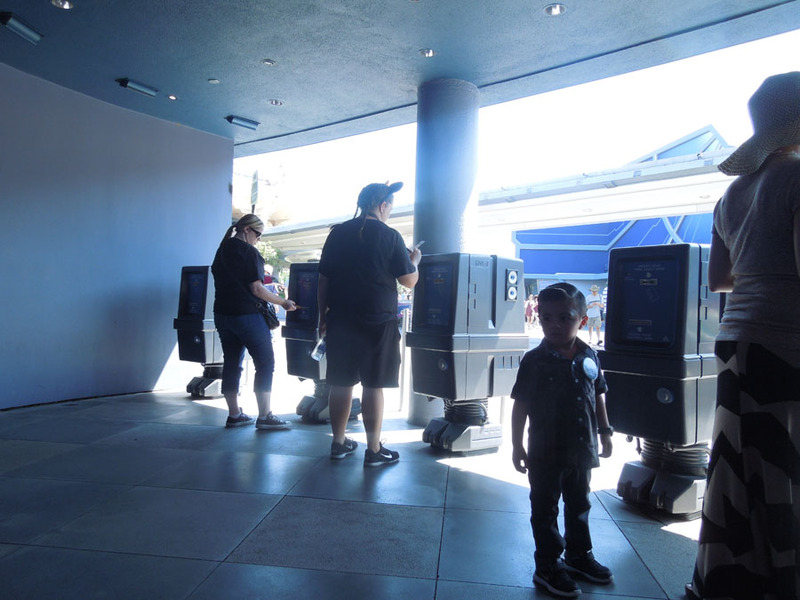 Also, the machines are dressed up like little droids. 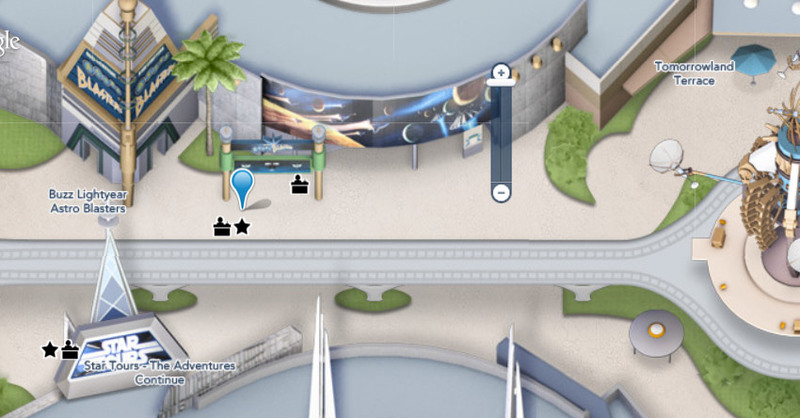 Fastpass Distribution on the left side. 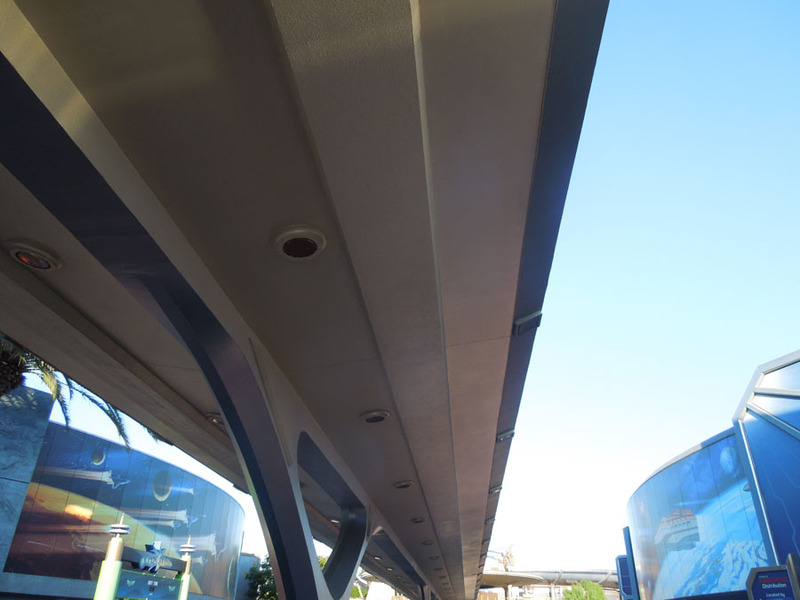 The underside of the old Peoplemover tracks. An exhausted child ready for a recharge.